They were frozen. The limbs stayed locked and glances unwavering. It was silent aside from the sound of graphite on paper and the hand wiping the remains of erased lines. The time ticked and they were still as if no time had passed. Her cape draped over the edge of the pallet motionless and his green brow steady. They were statues – living, breathing, statues – and these were our muses: Bat Girl and Poison Ivy. 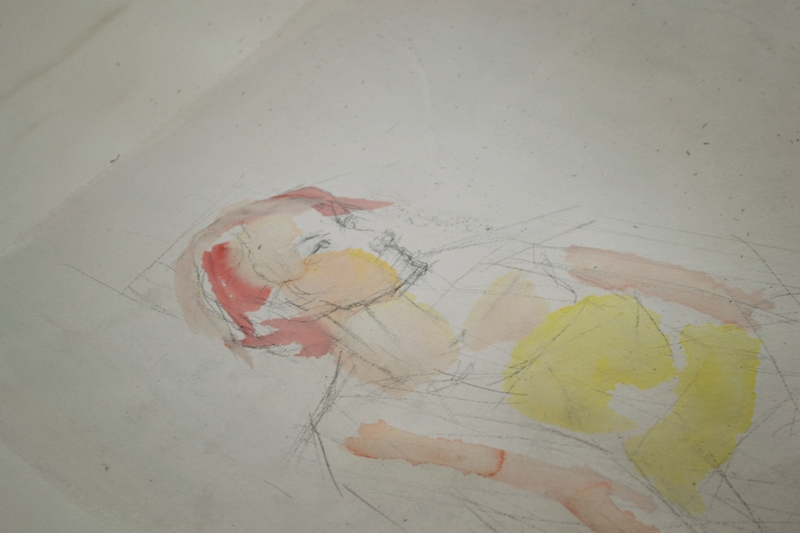 The Cosplay Drink & Draw at The Art Establishment was a therapeutic experience. When you get caught up in life’s daily chores it is nice to find a space for a creative outlet. If you are searching for this go to The Art Establishment. Their studio is immaculate and pristine. The exposed brick and stone walls, refinished wood floors, and unique use of the building’s original futures are stunning. For one – the old freight elevator was used as a space to display fragile ceramic pieces. 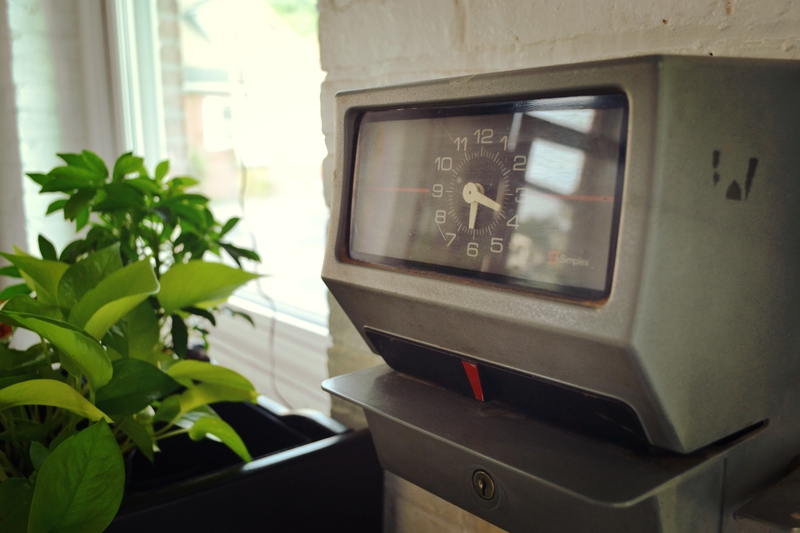 Second – the original time clock from the warehouse was now used to clock in and out of the studio. 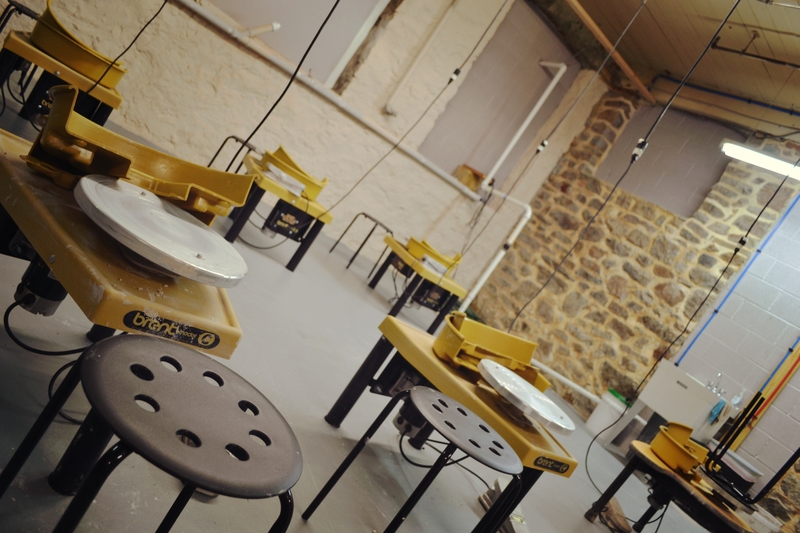 The studio differs from others as it is both a place for workshops and classes and also operates as an hourly-use space (hence the time clock). It is a welcoming space to experiment and dabble in an art – an independent study for personal gain and an outlet to express yourself. 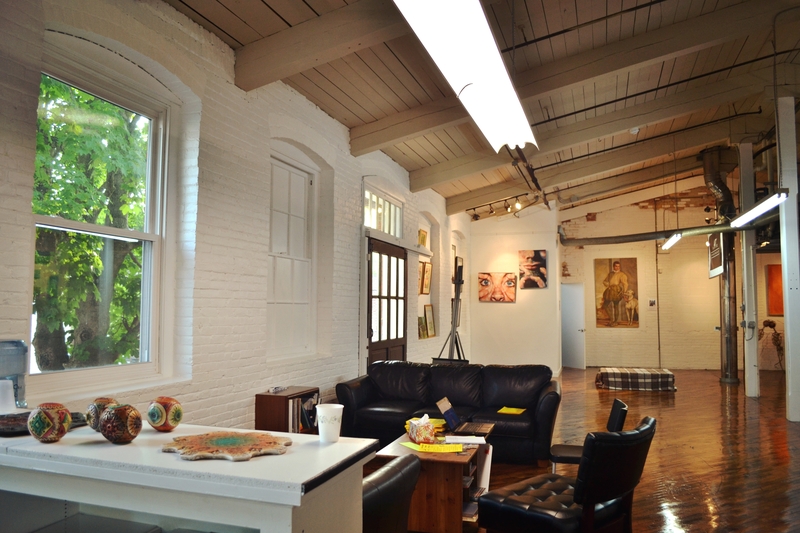 The Art Establishment offers a space for painting/drawing, pottery/ceramics, printmaking, and photography. Their hourly rates are listed on their website here. 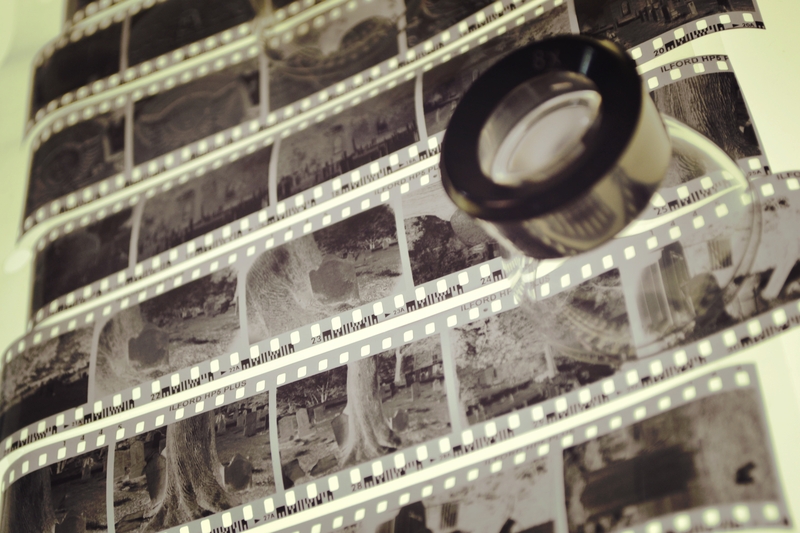 Above all, one of the most impressive things about the studio is the darkroom. It can have two individuals working at one time with two enlargers and is free of any dust. The room is kept very clean, and on top of the hourly fee there is a flat fee of two dollars for chemicals, which is a great deal! Since it is a smaller space, there are no concerns about contaminated chemicals. A no-fear darkroom: dust free and untainted chemicals, your prints will never look better! If you need a break from any project, the studio has a lush lounge space with leather couches, coffee table books and magazines for inspiration. It is a great space to let everyone know you need a social break and would like to chat. A lot of individuals flock to coffee shops to find a quiet space to write, read, or work on an art piece. You pay about five dollars for a specialty coffee and the expectation of peace, but sometimes you run into someone, or a stranger approaches to chat – why not opt for a new place? You can bring your own beverages to The Art Establishment and expect and receive peace while at work. Artists respect work-time and social time and that, for some, are two separate entities. Cosplay Drink & Draw, which occurs every Thursday evening from 7:00-9:00 pm, is a perfect example of blending work time and social time. First, if you are unfamiliar with Cosplay, it is an abbreviation for “costume play”. At this event, the models are dressed as characters from comic books, cartoons, or film. 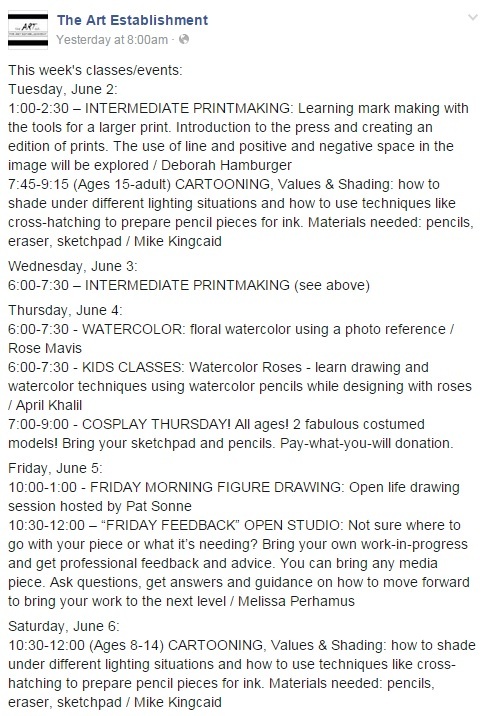 Everyone is expected to bring their own supplies (sketch pad, pencils, watercolors, etc), but the studio does have a small retail section for purchases. You may also elect to bring a drink and snacks. There is not a set fee for this event, but a coffee can is passed around for a pay-what-you-will donation. The models then pose for three 20 minute intervals. There is a break time for the models after the intervals – and everyone chats or heads to the lounge for some wine. The event is BYOB. The first Cosplay Drink & Draw took place May 21st – some great pictures from the event can be found on The Art Establishment’s Facebook here. The Cosplay Drink & Draw is seemingly unique to the Lehigh Valley and is evolving into a great event to kickback and have some fun on a Thursday evening with some great people. You may not draw, but you do drink – socially of course. Leave your inhibitions behind and come to the Cosplay Drink & Draw and doodle some of your favorite characters over a beer! There is no expectations of having to share your artwork, nor any submission – so let that alleviate any hesitations! They also have their own parking lot, so parking is a breeze! In sum, if you are looking for a creative space to work on pieces, learn an art, or experiment to find your passion, check this place out! 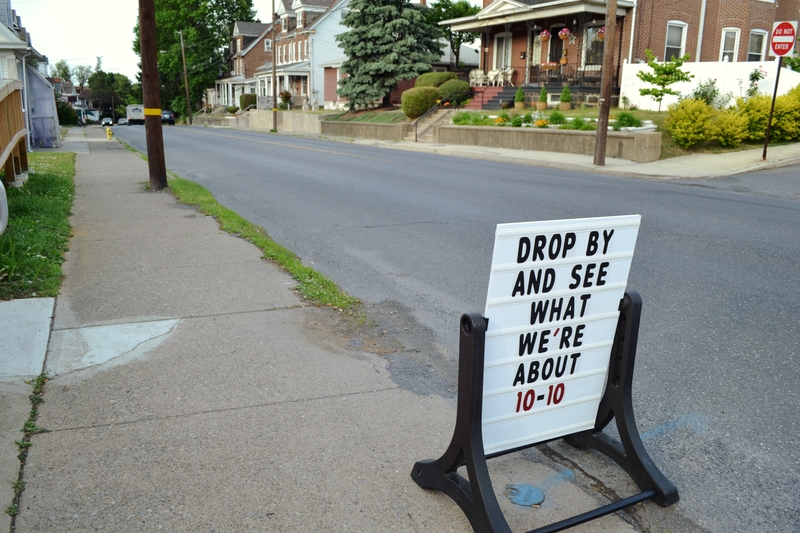 It is making a serious effort to make the arts affordable to our community in southside Bethlehem and providing an amazing space to breed creativity – don’t let an establishment as fantastic as this go to waste! Next Next post: Saucony Creek Brewing Co.